This is a mother of all games and you will have to defeat all enemies of the level. Enjoy shooting them! 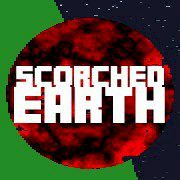 Scorched Earth is a game where you use terrain and other parameters to kill enemies and destroy their tank units. Shoot them and try not to get blown.